The Reynolds Fire had its way with the Saint Mary Valley this summer, but if you want to know more about the Sun Camp Ranger Station and the historic buildings, pick up a copy of Fate Is A Mountain. Cheers. 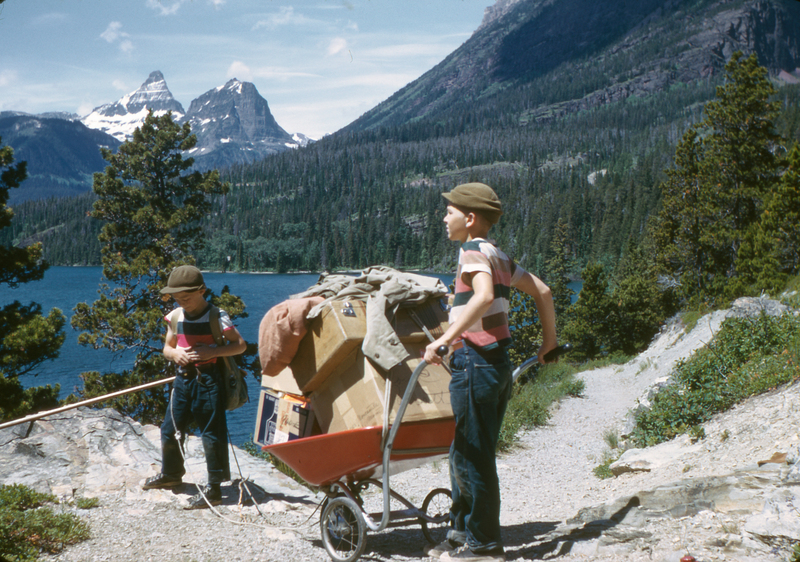 At the start of the summer the Sun Point Ranger Station needed a little loading, back in the day. Fate Is A Mountain and Through the Years are still available through major online outlets and locally in Glacier National Park. Drop us a note if you need help getting a copy. Cheers. G. GEORGE OSTROM / For the Hungry Horse News Sort of promised family members I would not tell anyone what happened on my 82nd birthday last Saturday; however … it is the only recent happening that seems like column material, so will make an honest disclosure after providing a brief background. GMS stands for Glacier Mountaineering Society. That group is mostly Montana people but has other members all over the U.S. and Canada, hundreds of ’em. What holds them together is a character abnormality. They have overpowering urges to climb horrendous Glacier National Park peaks so they can collapse on the very tippy top, stare in all directions then stagger back down, beat to a bloody frazzle and badly in need of liquids. In the ’70s there were just a few people, but numbers have grown at an alarming rate. Mark has been confirmed as a speaker at the Annual Meeting of the Glacier Mountaineering Society, 11:30 AM Saturday, July 24, at the Glacier Park Lodge in East Glacier. Mark will discuss his critically acclaimed book Fate Is A Mountain and sign copies. Get your spring orders for Fate in! If you ordered last year, drop me an email with how many copies you want this year and I’ll have them directly shipped to your business. You can also order directly through Ingram wholesale if you prefer.